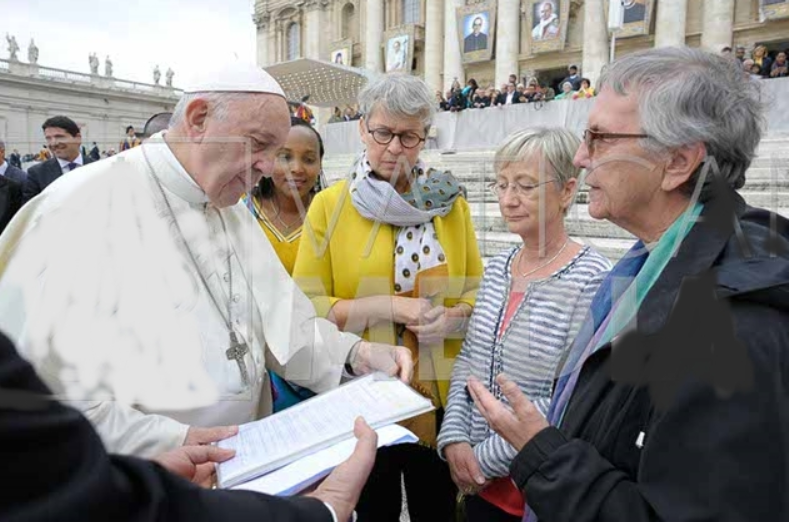 In the General Audience in St. Peter’s Square, the Board of the German Women for Mission presented to the Pope a petition, asking him to urge the bishops in Nigeria to also work against female “cutting” and so support the project the PHJC sisters have been planning for several months now. The Pope seemed to be interested in this problem and accepted the petition willingly. Among the women was also Sr. Christeta, who is the spiritual adviser of this group based in Koblenz. The PHJC Congregation had the great joy of experiencing that Katharina Kasper, the Foundress of the Congregation, was canonized in Rome. Pope Francis presided at the canonization which also included Pope Paul VI., Oscar Romero and four other faithful. 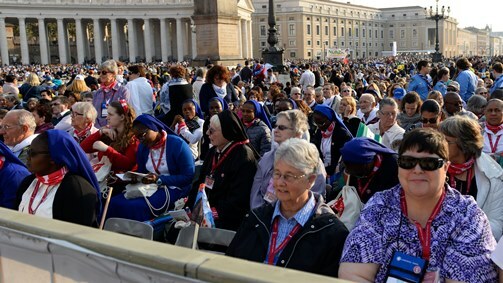 There were present in St. Peter’s Square about 2000 sisters, friends and associates from all the countries in which sisters work: Germany, the Netherlands, the USA, England, India, Mexico, Brazil, Kenya and Nigeria. 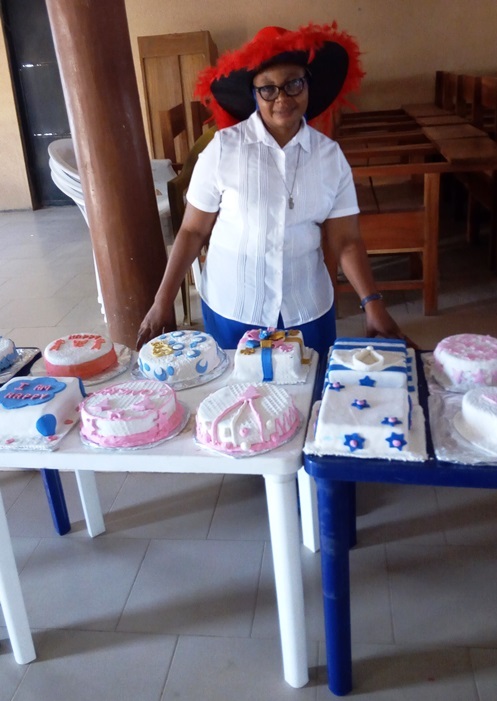 We are very happy to publish the fact that very soon, for the next academic year, PHJC sisters will open a nursery school in a medium sized town in Osun State, Ifon Ilobu, in Oshogbo diocese. The inhabitants of the town are sad that there is no good school in the town. 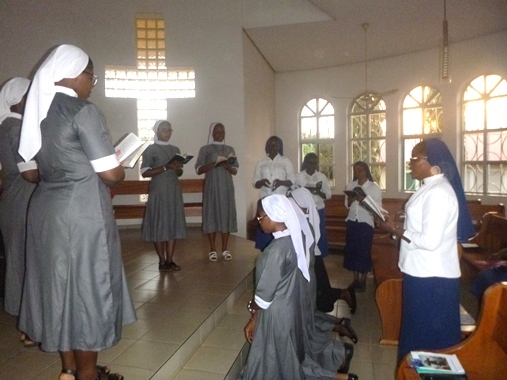 It is a predominantly Muslim town, but the town fathers approached the Catholic bishop of Oshogbo to ask for a good school, and the bishop requested our sisters to go and do that. Two sisters will go there and start the school. 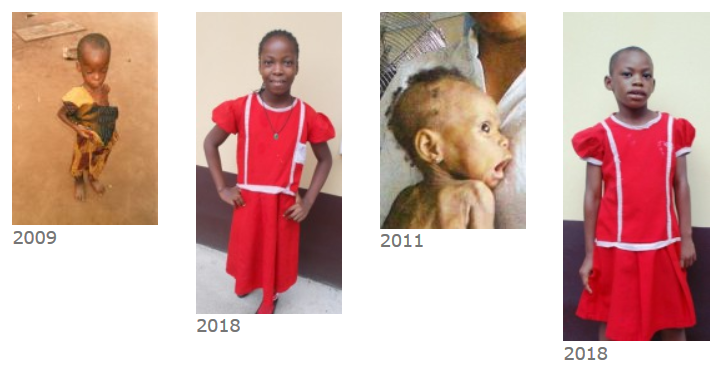 In the last twelve years, we accepted children several times who had been neglected, thrown out or starved. All of them developed well. They now have life, hope and a future. We show the beginnings and what the children are now. For more examples see the site about Mgbele. three novices and one postulant were accepted into the formation community in Garam. We wish them all a fruitful growth into the congregation. The first batch of 30 students graduated with good success. We only hope they all get good and safe jobs after working so hard for their graduation. See some of the work they did. For January 18th, the sisters are expecting 40 new students.